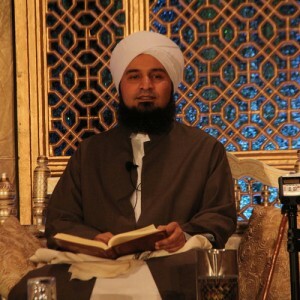 The following classes were delivered by Habib Ali al-Jifri on “The Blameworthiness of Status & Ostentation – Part Two” from Habib Umar bin Hafiz’sabridgement of the Ihya Ulum al-Din of Imam al-Ghazali. The classes were delivered at the Reviving the Islamic Spirit Knowledge Retreat in Toronto, Canada (December 2013). Audio recordings and summaries of each class are included below. Ostentation is the opposite of sincerity. Without sincerity, our actions are worthless. Ostentation is a sign of poor manners [sū’ al-adab] with God. From this perspective, it is the most dangerous spiritual illness which can afflict the heart of a believer, and this is why it [i.e. ostentation] was characterized by the Emissary of God ﷺ as minor polytheism [al-shirk al-asghar] or hidden polytheism [al-shirk al-khafiyy]. Ostentation is complex and it can become more and more subtle and more difficult to identify or diagnose it in its various forms, and in so doing, to “surgically” remove it from our hearts. Learning about ostentation and how to abandon it is a significant challenge, but do not allow fear of failure prevent you from confronting this spiritual disease. Ostentation is forbidden and the one who shows off in worship is one whose state is loathsome in the Sight of God Almighty. God also reveals: “We feed you for the Countenance of God alone: no reward do we desire from you, nor thanks” [Q 76:9]. God praises those who are sincere seeking nothing but His Countenance. Minor polytheism, ostentation (or showing off), is subtle and complex. For example, it can take the form of “affected humility”, i.e. a humility by which whose who affect it expect others to praise them. Affected humility can be expressed as false confessions of guilt about one’s shortcomings in worship of God. Recite “lā ilāha illa Allāh” abundantly without moving your lips. This way, you can remember God Almighty with words beloved to Him, and it would not be obvious to somebody not observing you closely that you are remembering God. The root of the Arabic word riyā’ is derived from the root verb meaning “to be seen.” Fundamentally, it involves seeking to be held in esteem by people by showing them one’s best attributes. Status and position [jāh] are usually sought by both non-devotional and devotional acts. Ostentation is a term only used to designate the act of using devotion or worship to seek attention. So it is by definition wanting the attention of God’s servants through obedience to God. The ostentatious one [murā’i] is the worshipper. The audience of the ostentation is those people one is showing off to in order for them to hold one in esteem. The ostentation itself is the acts the ostentatious person seeks to show. What is the relationship between jāh and riyā’? Every worshipper [murā’i] seeks a position of esteem [jāh], but not everybody seeking a position of esteem [jāh] is a worshipper [murā’i]. Note: Since we cannot be certain that what we observe [empirically] about an act is proceeding from a desire to show off or a true desire, we are not permitted to come to a judgment about the hearts of others. It is only for God to judge the intentions of others and our attempts to do so is like trespassing on the domain of our Lord Almighty. So we do not learn about this to judge others but to increase our self understanding and change ourselves. Wretched is one who learns about ostentation to judge others and felicitous is one who learns about ostentation to judge oneself in order to worship God alone with sincerity. Principle: the means to forbidden things are forbidden. Consider the case of loving wealth and fame. Love of wealth and fame are not praiseworthy. However, working to attain wealth and fame as mere means to achieving beneficial objectives is not blameworthy. The problem for us is when the heart becomes attached to wealth and fame: it is that attachment that leads us into ostentation. If the heart becomes attached to love of these things, then that abases the self and compels it to be preoccupied with these things. If people’s hearts are not preoccupied with their fame and they are not concerned with maintaining their fame, or anxious about its loss, then their fame may not be harmful to them or blameworthy. But if those things happen, this is dangerous. The hypocrite is one who acts as though he has faith but in fact no faith is present in his heart. An ostentatious person has real faith in his heart but his heart’s preoccupation with status and power leads to his acts of worship being governed by people’s perception rather than being dedicated to God alone. Dealing with ostentation feels overwhelming due to its complexity. I feel like avoiding it altogether. What advice do you have? God has commanded us to do good actions and He warned us about the things that ruin those actions. So if we fall short in doing the action and we do not purify our intentions, then we have committed two mistakes. The first mistake is that we neglected the good that God commanded us to do. The second mistake is that we did not work on purifying our intentions. Ostentation, desire for prestige, and the like, are ailments of the heart regardless of whether or not we do good actions. These illnesses exist within the heart and we still need to treat them with doing the good actions that God has commanded. Seek God’s aid and do not consider yourself incapable. If the point of ostentation is to please people, should we then withhold complimenting others [to protect them from ostentation]? There isn’t one universally applicable answer here and context changes things. To begin to answer this question we must consider (1) the giver of praise and (2) the receiver of praise. If a person wants to express true love for the person he praises, such an intention makes the act sound in relation to the person praising. If, however, the person praising intends dissimulation or to trick others, this is incorrect. One should, by one’s knowledge of the person to be praised, determine as best he can if the person praised will become deluded or harmed by the praise received [e.g. the praise leading to him becoming conceited]. If that could be the case, one would be justified in withholding praise of that person. If, however, the praise would likely encourage him to continue or to increase doing good, then giving praise to such a person in this context would be acceptable. Hassān ibn Thābit and Ka`b bin Zuhayr composed much poetry in praise of the Prophet, peace be upon him, who was protected from ostentation and he praised those who were not protected from it from his sahaba, e.g. Abu Bakr, `Umar, `Uthman, and Ali, may God be pleased with them. When a believer is praised, his faith increases. But if one fears that the one praised will not be able to deal with praise or become conceited or deluded, then refrain from praising. Subtle ostentation can be apparent [jaliyy], hidden [khafiyy], or even more hidden [akhfā’]. The kind of ostentation that is subtle but still apparent relates to the motive of the ostentatious action. The kind of ostentation that is subtle and hidden relates to when a worshipper finds an act of devotion lighter or easier to do when being seen by others. The kind of ostentation that is subtle and more hidden than the previous two kinds of subtle ostentation above relates to ostentation that is so hidden that it can only be indicated by certain signs. The most obvious of these signs is when a person merely feels pleased when others see him performing an act of worship. In your approach to worship, be like the one who plants seeds hidden in the earth. Do your work and don’t worry about what is not in your capacity. Winds may appear to be blowing away what you’re planting but with patience you might see that what was actually happening was pollination leading to fruit. It is narrated that `Abdullah ibn Mas`ūd [may God be pleased with him] heard a man saying: “I read the chapter of ‘The Heffer’ from the Quran yesterday. So Ibn Mas`ūd [may God be pleased with him] said “That is all he will get out of it.” This saying of Ibn Mas`ūd [may God be pleased with him] indicates that that man’s heart was not free from ostentation even when he was doing an act of worship (reciting from the Quran). One of the most serious spiritual dangers is when a person engages in contention for lordly attributes, i.e. those qualities that are only becoming of God Almighty. Since only Allah can see people’s intentions, we cannot determine specifically which individuals are rewarded by God but we can say that this or that deed deserves divine reward based on Qur’an and Sunnah. We can say this act or that act is legally valid (in Sharia), but we cannot say whether Allah has accepted it or not. We need to nurture the souls of human beings so that sincere hearts motivate and govern their adherence to the law and moral principles. Otherwise, a rational person without sincerity can always find ways to twist the law to their ego’s desires and behave in ostentatious ways. Ostentation can be removed through effort exerted in self-discipline by the grace [tawfīq] of God Almighty. Everything discussed so far has been to prepare us for the work we have to do in discipling the self. To remove the roots through which the tree of ostentation grows. This is the foundational approach. To put a stop to any thoughts of ostentation as soon as they occur. This is a preventative measure. This class discusses the roots of ostentation and the practical ways of treating them. It also goes into great depth about the transformative and protective power of loving Allah the Exalted — especially when dealing with ostentation. O God! You have inflicted on us an enemy who sees our faults, is aware of our weaknesses, and he and his tribe see us from whence we see them not. O God! Strip his hope of harming us just as you have stripped his hope of receiving your mercy. Make him despair of misguiding us just as you have made him despair of your pardon. And make him distant from us just as you have made him distant from Paradise. If you encounter someone else who appears to be more competent or better in some other way than you, and more popular than you in the eyes of people, you do not feel jealous or anxious; rather, you feel happy for that person. Further, there is nothing wrong with feeling happy for other people and wanting to also have what they have for yourself as well. If “important” people are in your presence then you do not change the way you speak especially for them. That is to say that you do not show more concern for or give more attention to people who have a relatively more privileged position in society than others. If people follow you around like an entourage, you do not like it. If people sin in front of you or suffer embarrassment in some way, you do not become pleased. Instead you pray to God in private to make those people safe from sin and whole. You do not take advantage of people or have expectations from them that you should only have of God. Calling to God [da`wah] is not about seeking authority over others. It is not about taking advantage of the insecurities of people or exploiting their spiritual needs for your own ends for this would be incompatible with the objective of calling people to God, i.e. to know, act according to, and realize the deep meanings of lā ilāha illa Allāh and Muḥammad al-rasūl Allāh.